The best way for Germany to lead the future defense of Europe is to bring all Europeans together, the United Kingdom included. But real leadership means facing hard realities. 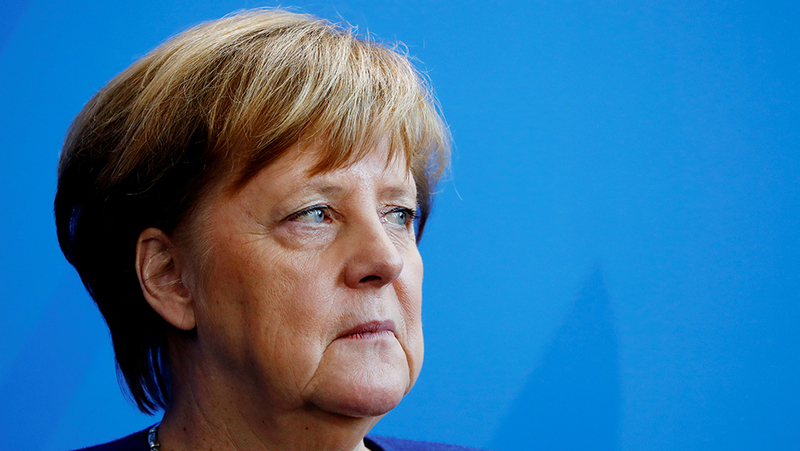 Should, could, would Germany lead European defense? Should, could, and would are words that President Trump has explored to the full of late. In the aftermath of the Brussels NATO Summit and President Trump’s acerbic assertiveness, they are also words that Germans must consider. There can be no credible European defense without a strong German role. 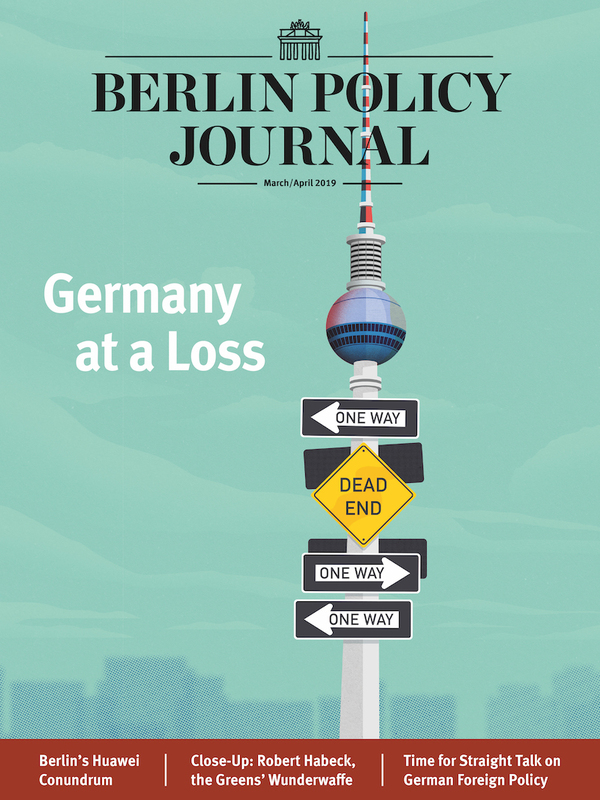 However, if Berlin is to play a leadership role, possibly via a European Defense Union, contemporary Germany is going to have to face tough political choices. Much of the German debate of late has been focused on the NATO Defense Investment Pledge, where the allies committed to spending two percent of GDP on defense by 2024, of which 20 percent each year should be spent on new equipment. Chancellor Angela Merkel signed up to the pledge, albeit with the caveat that Germany would aim to meet the target. But due to domestic pressures, it has been backtracking ever since. It is not hard to see why. If Germany spent two percent GDP on defense, Berlin would be spending some €60 billion each year, more than either Britain or France. Now, many of Germany’s friends have little problem with that, this one included. Germany is today a model democracy and Britain would be encouraged to see Berlin meet the Defense Investment Pledge. But Germans? NATO must and will remain the cornerstone of Europe’s defense. The EU offers the organization and means to deliver a new defense that combines enhanced European efficiency and effectiveness with embedded legitimacy for German leadership. For all President Trump’s theatrics, he reveals an essential truth about transatlantic burden-sharing: American forces are being stretched ever more thinly the world over. Therefore, American support for the continued defense of Europe will demand a much greater effort from Europeans, with Germany, Britain, and France to the fore. During the Cold War, the Bundeswehr provided the largest land force for the defense of Europe, so the current debate over Germany’s role is not new. In the early 1950s, the first attempt at a European defense union, the European Defense Community, foundered because neither Britain nor France were willing to subsume their centuries-old martial identities in a European Army. As Brexit is demonstrating, and quite possibly President Emmanuel Macron will as well, Europe’s two major military powers continue to remain resistant to “federalist” European defense ambitions. A European Army would require a European government. Therefore, the re-forging of European defense that is desperately needed is far more likely to be cast around a collective than a common European model, hence President Macron’s European Intervention Initiative. Germany is already heading up the defense of Europe, taking the lead role in the development of the Framework Nation Concept with the new Joint Support and Enabling Command based in Ulm. Such initiatives are vital if the future land and air components of NATO collective defense and deterrence are to be underwritten by military capability and capacity. Germany is also underpinning many of the EU’s 34 Permanent Structured Co-operation (PESCO) projects with its impressive defense, technological, and industrial base (DTIB). And Germany is pushing hard to re-establish hardened and resilient infrastructures across the new cyber defense spectrum. Efforts to make German and wider European society more resilient to cyber-attacks are a vital component of 21st century European defense. However, it is the move towards ensuring that civilian ports, roads, and railways are compatible with rapid military mobility in the event of an emergency that is perhaps the most pressing need, and where Germany could, should, and would need to lead most effectively over the short to medium term. Certainly, the Bundeswehr has established a strong reputation as a well-qualified, technically-trained, and democratically-accountable and responsible force, but there remains much to do. Critically, German political rhetoric needs to be better aligned with Bundeswehr reality. The force and its tasks do not match. The German Defense Minister Ursula von der Leyen recently announced a new strategy to improve personnel, material, and budget but Germany is a (very) long way off from realizing such a vision. To be fair, Britain is faring little better, as is clear from the unimpressive and recently-announced Defense Modernization Program, and the likely delays/reductions to the new Type 31E frigate (‘E’ stands for “empty”?). 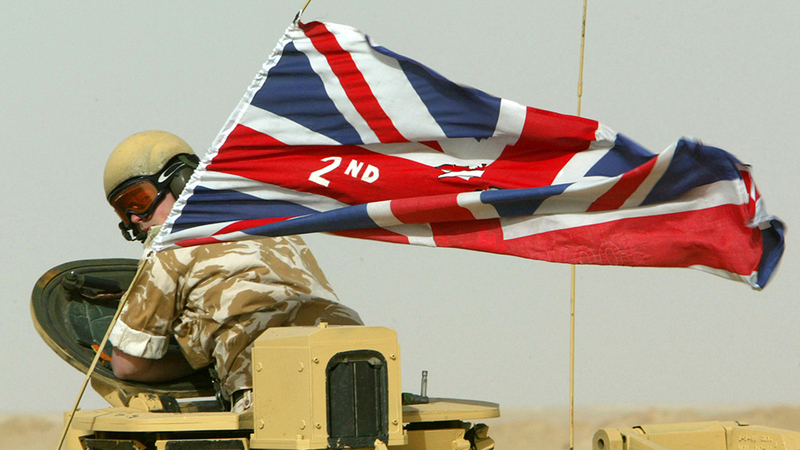 It is also questionable whether, but for some clever accounting, the UK actually meets NATO’s two percent benchmark. Still, Britain’s travails only increase the need for a shared, collective effort with Germany. 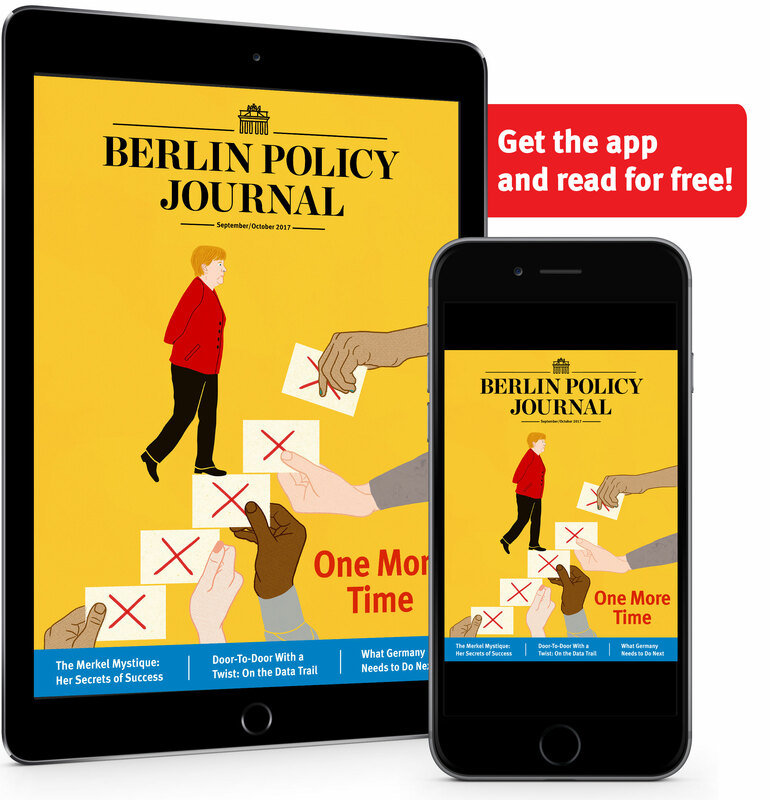 The roadblock for Berlin is the lack of a comprehensive political strategy in which enhanced German military power could be properly embedded. Such a strategy would fail if it tried to present Russia as the justifying factor, even though in many ways it clearly is. Instead, it needs to emerge from a political debate on the requirement to participate in high-end stabilization missions, such as preventing the use of chemical weapons by regimes like Syria’s, or fighting Jihadi terrorists. As for Brexit and its effects on common defense, the German government confirmed recently that, “Independent of the effects of Brexit, Great Britain remains a strong partner and ally in NATO and also bilaterally.” But what does that mean in practice? The Royal Navy’s new carrier strike group and “Astute” class nuclear attack submarines will, alongside French capabilities, form the core of future European maritime/amphibious coalitions. The German navy must be capable of helping to provide force protection and be adequately equipped for the task. Berlin also needs to move quickly to ensure continued and equal UK access to the Galileo satellite navigation project. It is vital that both countries agree on sharing intelligence efforts as part of a new EU-UK security treaty as well. By doing so, Berlin would help tie Britain into the defense of Europe and give real meaning to the vital British-German “Joint Vision.” This would, in turn, strengthen cooperation for instance in the area of land systems such as the Mechanized Infantry Vehicle Program. Above all, for Germany to lead European defense, actions and words should meet—so how best to proceed? For the sake of European stability, the allies should accept that Germany should not spend more on defense than either Britain or France and thus commit to 1.5 percent GDP spent annually on defense. For the sake of European defense, Germany should commit to a one-off special budget to enable the Bundeswehr to achieve a much higher state of operational readiness to match NATO (and EU) requirements for key equipment and see enhanced German investment for military-compatible infrastructure across Europe to enable improved mobility. It is also nonsense that France and Germany could compete with Britain on a future 6G fighter, not least because of Britain’s current technological advantage. Britain’s operational experience makes it an absurdity for the European Union to shut the UK out of future defense arrangements, as if it were Turkey. In any case, few in Germany believe that the planned German-French Future Combat Air System, or FCAS, will succeed because of the tortuous nature of French defense-industrial politics. The best way for Germany to lead the future defense of Europe is to bring all other Europeans together, Britain included. However, real leadership means facing hard realities. Vegetius once wrote “Si vis pacem para bellum,” or if you want peace, prepare for war. Germany aspires to be Europe’s strategic peacekeeper across the non-force/force spectrum. To play such a role, Germany would need to paraphrase Vegetius: “Quod, si vis pacem, para bellum,” or if you want peace, at least begin to think about war, and do it with friends and allies. Should, could, would Germany lead European defense? It’s Germany’s call. is a senior fellow at the Institute for Statecraft in London.